Eighth Generation is honored to introduce Ryan Young (Lac du Flambeau Band of Lake Superior Chippewa) as the artist for their upcoming “Two Spirit” blanket. Eighth Generation is honored to introduce Ryan Young (Lac du Flambeau Band of Lake Superior Chippewa) as the artist for their upcoming “Two Spirit” blanket! Eighth Generation will begin the blanket development process with the goal of re-affirming reverence for Two-Spirit people through the general symbolism of an honor blanket and the artwork on it and are very excited to be working with a Two-Spirit artist who centers Two-Spirit representation and empowerment in their artwork and beyond. A senior at the Institute of American Indian Arts, Young specializes in photography and printmaking, aiming “to bring visibility and voice to queer indigenous and two-spirit folks” through photo projects like their Two-Spirit Project. 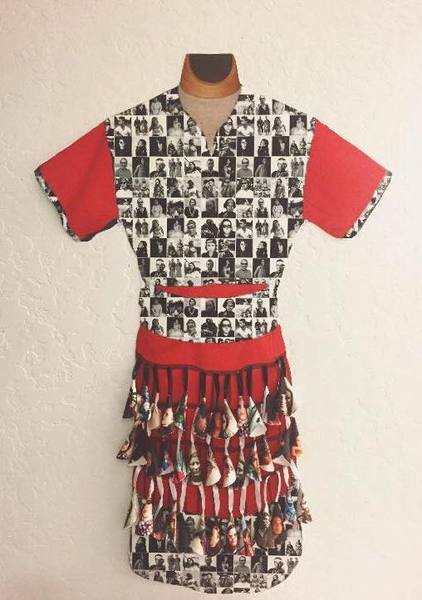 Their piece, “Who Do You Dance For?”, is a jingle dress they created from images from this project, as well as photos of other recognized Two-Spirit figures. Described as a “healing regalia”, the piece is dedicated to Two-Spirit and queer indigenous people who have been excluded from powwow dance circles, while making a statement about homophobia and transphobia stemming from colonization, not cultural values. Outside of their art, Two-Spirit empowerment is just as central. Young is the President and co-founder of their school’s LGBTQ2S student organization, Indigenous Queers +, where they have put on workshops on Two-Spirit history, terminology and inclusivity, sexual health, and decolonizing gender in the powwow circle, as well as events like IAIA Pride Week. This summer, Young will be serving as the coordinator for Two Spirit and Indigenous Programming at the University of Illinois Urbana-Champaign, as well as preparing for their senior art exhibition that will take place this fall. 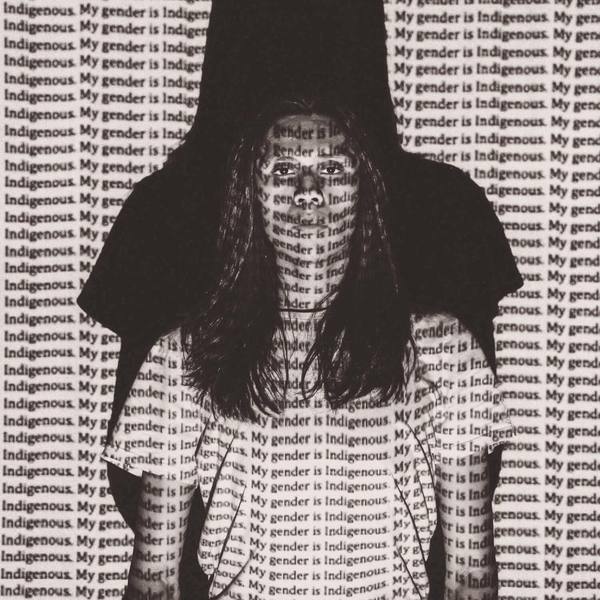 After the completion of their Bachelors of Fine Arts, Young plans on continuing to build their photography career as a platform for Two-Spirit recognition and empowerment. After several rounds of community feedback throughout the blanket development process, including the formation of a Two-Spirit advisory committee in Seattle, the blanket is due for release in Fall 2018. Eighth Generation is proud to say this blanket project will be the first ever production blanket honoring Two-Spirit people. We’re proud to mention that Young is also a Native Max team member.